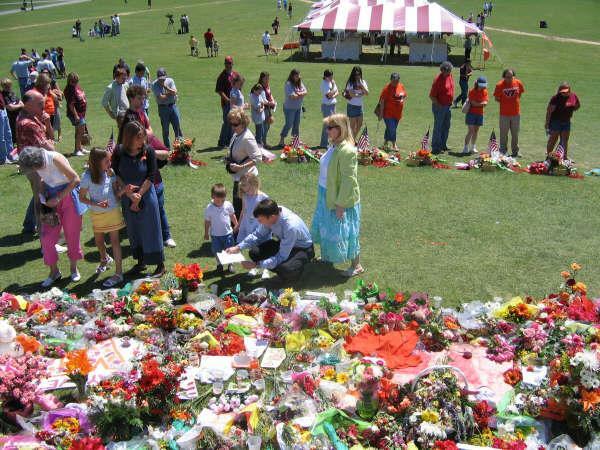 Numerous people visited the Hokie stone memorial site on the drillfield. 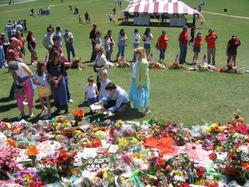 They placed flowers and gifts around this memorial site. We will always remember the victims. Yucheng Ying, “Sorrowful people on the drillfield,” The April 16 Archive, accessed April 23, 2019, http://april16archive.org/items/show/1096.